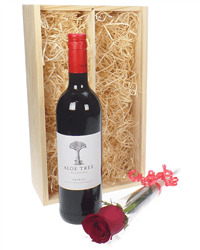 Send this 'Kiss from a Rose' gift this Valentines Day! 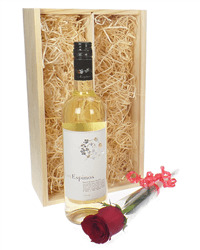 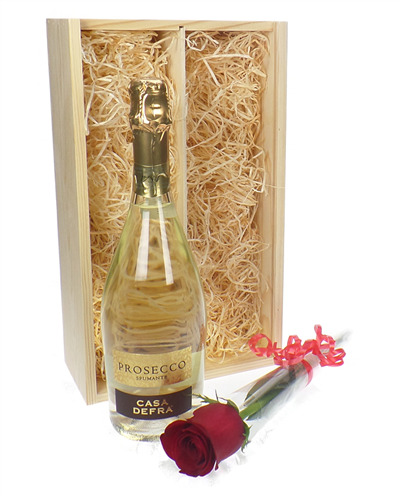 A superb bottle of Prosecco complete with a single red rose and presented in a wooden gift box. 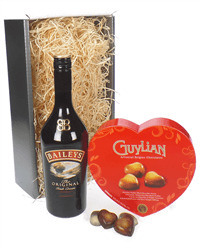 Just add your personal valentines message and the gift is complete. 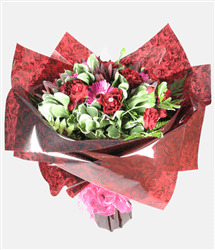 Delivered to any address of your choice. 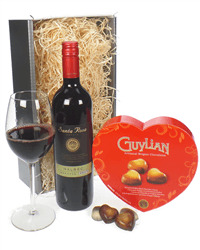 Send Valentines Day Gifts to someone special in your life. 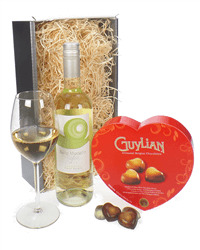 Our beautiful range of gifts include red and white wine, prosecco, Champagne, chocolates, flowers, balloons and an adorable teddy bear. 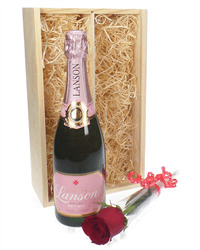 Choose the combination you like or a single bottle beautifully presented in one of our special 'With Love' wooden gift boxes. 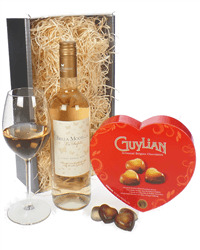 Order online or by phone and we will deliver to the address of your choice, carefully packaged with your cryptic Valentine message.